You may browse many sections of this website without providing any personal information about yourself. However, if you choose to register for one of our promotions or services, ask us a question through our Contact Us link, apply for employment with us, or apply to become an approved supplier, we must collect certain information from you. To register on our site, you must complete the registration process by providing personally identifiable information, such as your name, address, email, telephone number or mobile phone number, as well as information relating to what you would like to receive from us. If you choose to register, you may also be asked to choose a user name and password. Please keep this information secure. If you choose to register, you have the right to unsubscribe at any time by contacting us through one of the contact options provided below (email, letter or telephone). Please give us a reasonable amount of time to process your unsubscribe request. If you place an order through our website, we must obtain information from you relating to the order, including your billing and shipping information, order information and payment information. This information is used for billing purposes and to fill customer orders. The information is used to contact the user to confirm orders or in the event that we have trouble processing your order. 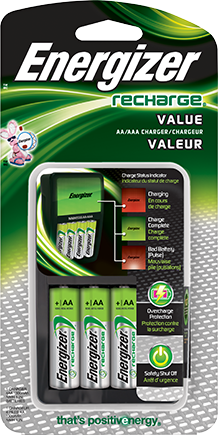 Consistent with applicable laws and requirements, we retain order information to better serve you on future purchases, and may use your information to contact you in connection with other Energizer products or services that we believe may be of interest to you. You have the right to unsubscribe at any time. If you apply for a job with Energizer through our website, the information collected will include your qualifications for the position, your education, applicable licenses or certifications, prior job history, references, and any other information that you choose to include about yourself. If you are accepted for employment, we will, of course, necessarily collect other relevant information from you and include it with that collected during the application process, and include it in your personnel file. The information that will be collected for purposes of your employment includes your Social Security number. 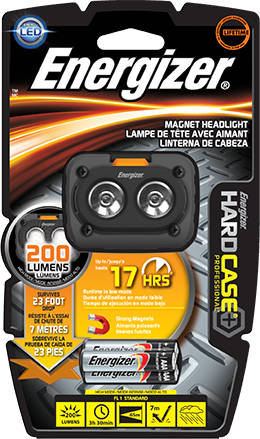 That information and other employee personal information is protected in accordance with Energizer’s internal policies. If you apply to become an approved supplier, the information we collect will include relevant business information, such as the name, contact details, location and products or services offered by your organization, and information relating to pricing, sourcing, and other business practices. We may also request additional information from you, including an on-site audit or additional checking to ensure that our prospective partnership with you will be consistent with Energizer’s business, legal and compliance expectations for our partners. If you become an approved supplier, we will also require other relevant information from you that is relevant to our ongoing business relationship. If you choose to sign-up for our newsletter or email communications online, you must submit certain basic information during the registration process. This information may include your name, email address, and a confirmation that you are over 18 years old. This information is used to send the newsletter or email communications electronically, and to ensure that we can provide you with appropriate customer service and respond to your inquiries. 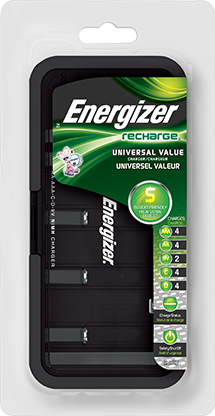 While visiting certain portions of the website, you may be given the opportunity to provide feedback regarding various Energizer products. You may be given opportunities to rate Energizer products and to publicly ask and answer questions pertaining to Energizer products. In order to fully participate in these portions of the website, you will be asked to provide your full name and an email address, as well as a created online username which will be publicly linked to your product ratings, questions, answers and other comments. You will be required to agree to a set of terms and conditions which require, among other things, you to verify that you are over the age of 13. You may also be prompted to submit additional voluntary information, such as specific age range, gender, location, address, phone number, website, job title, and the length of time which you have used Energizer products. This information may be linked online to your chosen username. Energizer stores this additional information, if provided, and later uses it to help us better understand and respond to the collective feedback we receive. 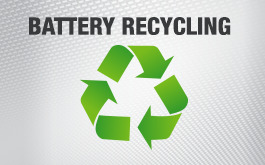 For any information that we collect through our sites, Energizer becomes the owner of that data. Like most websites, we use "cookies" on our website to help us serve you better on future visits, and to help us analyze web traffic for our site, and evaluate and improve the content or functions of our site. A cookie is a small text file which is sent by a website, accepted by a web browser and then placed on your hard drive. The information collected from cookies sent by Energizer and approved third parties assisting us with our websites lets us know that you visited our site in the past, and helps you avoid having to re-enter information on each visit in order to use some of our products or services. Cookies also help us analyze use of our site, and better aggregate useful information when site users provide feedback about our site or products. You can always set your browser to refuse all cookies from this and other websites that you may visit. This will provide you with more control over the acceptance of cookies on your hard drive. However, it is possible that some portions of this website will not function properly or may perform more slowly if you choose to reject cookies. By using our websites and not disabling cookies, you consent to allowing their use for the described purposes. Remember also that disabling cookies is browser specific. If you log on using Internet Explorer, you must also disable cookies in Safari if you use that browser at a different time. We may also collect information about your method of access such as your operating system (Windows 7, Windows 8, Mac, Linux, etc.) and your browser (Internet Explorer, Google Chrome, Safari, etc.). We may use access method information along with information about site searches you run to serve you personalized content using third party vendors such as Sitefinity. Such personalized content applications do not collect and store personally identifiable information about you. Do Not Track (DNT) is a privacy preference that users can set in their web browsers. While the United States Federal Trade Commission has endorsed DNT, our website does not support DNT codes. However, except in the case of analytic cookies described herein, our website limits tracking to the internal uses described above and does not enable the tracking of our users across multiple websites. Except in the case of analytics cookies described herein, our website does not track your use across multiple websites, however, other websites to which we link may. Please review their privacy policies to understand how you may be tracked. Some of the Energizer websites permit you to use a third party social networking platforms such as Facebook, Pinterest, Twitter and Google+. This includes use of social media plugins such as Facebook “Like”, Tweet, Pinterest “Pin,” Google “+1” buttons, etc. When you use these social networking platforms and plugins, your username and password for the services and other information available about you or collected from you on these services may be shared with us. We may ask your permission repost your Facebook or Twitter quotes on our websites. If you agree, you grant us the right to use your posts on our websites for promotional purposes. 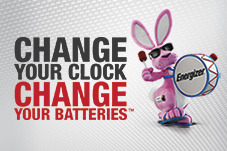 Energizer may share your information within the Energizer group of companies as well as with third parties that assist us with our websites, contests and sweepstakes, such as in providing the products or services that you requested, or for the purposes of improving our marketing or administration. This includes companies that provide analytics to us about use of our website, so that we can evaluate use of our websites and continue to improve our website content. Our U.S. websites are intended for residents of the U.S. If you happen to live in another country yet use our U.S. websites, any data collected about you with respect to your use of our websites will be transferred to the U.S. As such, please note that there may be different standards that apply to how your data may be used and protected than the standards in place in your country. Nevertheless, Energizer has put in place safeguards to ensure that your data is safeguarded and protected irrespective of the country. 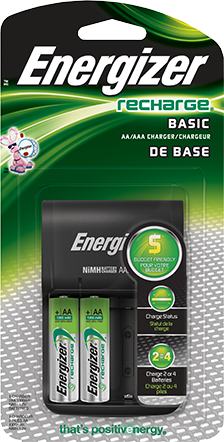 This includes obtaining written assurances from third parties assisting Energizer with its website or given access to your data, which require them to adopt standards that ensure an equivalent level of protection for your data as that adopted by Energizer. Except as provided below in "Promotions and Third Parties," Energizer does not share or sell any personal information that you provide to us through our website for any separate use by any third party. However, from time to time, we may provide aggregate (statistical) information about our customers, sales, online traffic patterns and related information to reputable third parties who help us improve our business and services, but these statistics do not include any personally identifying information. 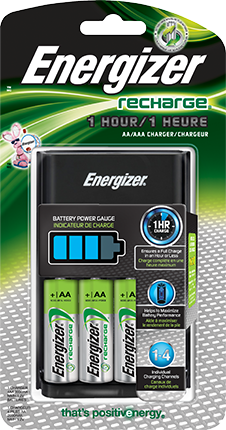 From time to time, Energizer may run promotions offering special deals, coupons, discounts, chances to win contests, and other prizes. These promotions may involve third-parties. 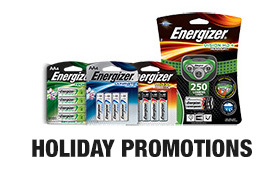 In order to participate in these promotions, Energizer may require certain basic information about you, such as your name, email address, physical address, and date of birth. This and other required information may be stored by Energizer in order to help us better understand how we can design and market our products for you and others. This information may also be shared with any relevant third-party promotional partners involved in the specific promotion for which you choose to sign-up. In addition, certain third-parties may use your information to contact you in order to provide you with more information about their company and with further opportunities to make additional purchases. 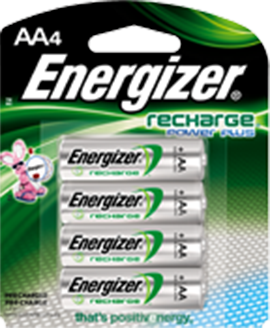 Please remember that Energizer cannot be responsible for the information which you choose to disclose to third-parties. Energizer has certified its compliance to an international data transfer and cross-border personal data transfer framework called Safe Harbor Certification, for purposes of the company’s human resource, compliance, customer and supplier personal data. The Safe Harbor program was established by the United States Department of Commerce, in consultation with the European Commission and the Federal Data Protection and Information Commissioner of Switzerland. It applies to the personal data of residents of the European Economic Area and Switzerland to the extent that their data is transferred to or accessible by Energizer companies in the United States. U.S. companies that certify to the Safe Harbor program voluntarily agree to adhere to the Safe Harbor privacy and security standards, which, in some respects, are more stringent than current U.S. requirements for privacy and security. The seven Safe Harbor Principles that Energizer has certified to uphold are: Notice, Choice (Consent), Onward Transfer, Data Integrity, Security and Enforcement. 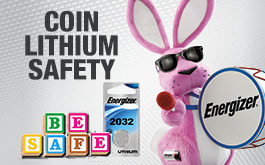 You can learn more about the Safe Harbor program and the requirements that Energizer and other companies that have certified must uphold at: http://export.gov/safeharbor/ and can also view Energizer’s Safe Harbor certification form on file with the U.S. Department of Commerce through that website. 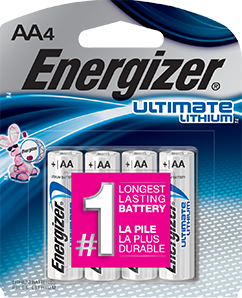 If you feel that Energizer is not abiding by its Safe Harbor commitments or have questions about our Safe Harbor practices, please email us at: webmaster@energizer.com, or write to us at: Energizer Headquarters, 533 Maryville University Drive, St. Louis, MO 63141, ATTN: energizer.com, or call us at: (800) 383-7323. We follow applicable laws and requirements to protect your information. 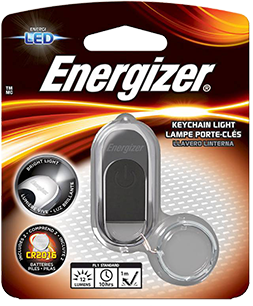 Among other things, Energizer has adopted physical, electronic, and administrative safeguards that are designed to protect your personal information from loss, misuse, alteration, theft, unauthorized access, or unauthorized disclosure. We evaluate these safeguards on an ongoing basis to help minimize risks from new security threats as they become known. However, as is the case with all websites, we unfortunately are not able to guarantee 100% security for data collected through our public websites. This website is not intended for use by children under the age of 13. 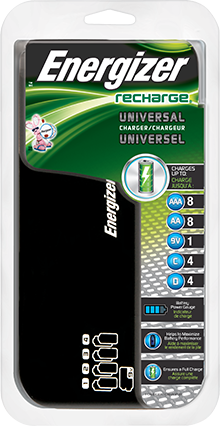 Energizer does not market any of its products online for children under the age of 13, nor does Energizer design its online applications, advertisements and other features to attract an audience of children under the age of 13. Although certain pages within the website may reference "kids," "children," or "students," Energizer strictly intends for such portions of the website to be used only by adults (such as parents and teachers) or children of the age 13 or older. 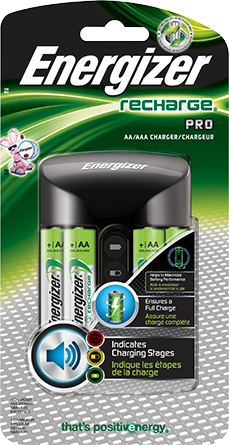 Energizer adheres to the Children's Online Privacy Protection Act and do not knowingly register or otherwise collect personally identifiable information from any child under the age of 13 without the prior verifiable consent of the child's parent or guardian. However, we are allowed to collect personal information from a child for the one-time purpose of responding to an inquiry, answering an email, or seeking Verifiable Parental Consent at the request of the child under the age of 13. 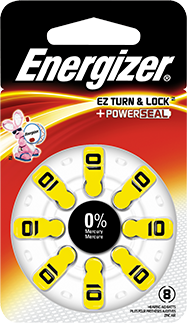 Energizer does not sell or share information obtained from minors with any third parties for their own use. The third parties who may have access are those assisting us with or co-sponsoring our website fulfillments, such as for purposes of filling orders or processing payments. We do not share a child's information with blogs or other sites where the information would be publically accessible. 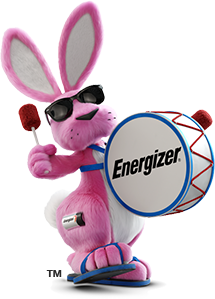 If Energizer should inadvertently collect information from a child under the age of 13, we delete that information, except to the extent needed to seek Verifiable Parental Consent from the minor's parent or legal guardian. When Verifiable Parental Consent is obtained, we collect only that personal information from a minor that is relevant to the registration or purchase. We protect the information with security safeguards and confidentiality measures that are commensurate with the sensitivity of the information. Parents or legal guardians have the right to review their child's personal information, delete it, or withdraw permission to allow further collection or use of that information. Energizer takes reasonable steps to ensure that your personal data is accurate and up-to-date for the purposes for which it was collected. We encourage you to contact us to update or correct your information if it changes or if you believe that any information that we have collected about you is inaccurate. Consistent with legal requirements and limitations, Energizer also permits you to obtain a copy of personal information that we hold about you. To do so, please email us at webmaster@energizer.com, or write to us at: Energizer headquarters, 533 Maryville University Drive, St. Louis, MO 63141, ATTN: energizer.com. Please note that we will likely require additional information from you in order to honor the request, such as to ensure proper authentication or to verify the Energizer company to which the information was provided. You have the right to unsubscribe from any services that we offer, if you no longer want to participate. To do so, please use our Contact Us link on this site for additional information, or email us at webmaster@energizer.com. Please note that if you already have requested products or services when you decide to withdraw consent, there may be a short period of time for us to update your preferences and ensure that we honor your request. 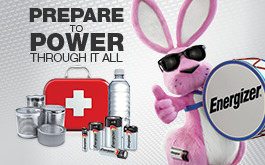 If you have any questions, please email us at webmaster@energizer.com or write to us at: Energizer Headquarters, 533 Maryville University Drive, St. Louis, MO 63141, ATTN: energizer.com, or call us at: (800) 383-7323. California Civil Code Section 1798.83 permits our visitors who are California residents to request certain information regarding our disclosure of personal information to third parties for their direct marketing purposes. To make such a request, please send an email to privacy@energizer.com, or write to us at: Energizer Headquarters, 533 Maryville University Drive, St. Louis, MO 63141, ATTN: energizer.com, or call us at: (800) 383-7323. 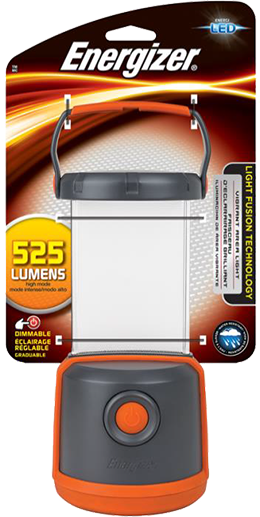 © 2015 Energizer, Inc. All Rights Reserved. The Safe Harbor Framework is an international data privacy and cross-border personal data transfer program established by the United States Department of Commerce, in consultation with the European Commission and the Federal Data Protection and Information Commissioner of Switzerland. The program allows companies in the U.S. such as Energizer to self-certify their compliance to the standards under that framework. Companies that do so (including Energizer) are considered by the EU, EEA and Switzerland to have adequate privacy and security safeguards in place such that they can receive access to personal information pertaining to residents of those countries without first having to fulfill another data transfer method as provided in their data protection laws. They are also recognized to be among the top U.S. companies for privacy and security compliance. Energizer’s Safe Harbor certification encompasses personal data pertaining to Energizer’s human resource, compliance, customer and supplier business activities, which relates to residents of the EU, EEA or Switzerland, and which is accessible to Energizer’s US affiliates. Notice: Consistent with legal requirements, Energizer informs EU, EEA and Swiss residents about the purpose(s) for which it collects and uses their personal data, the types of third parties who will be given access to the data; the choices and means offered to individuals for limiting the use and disclosure of their personal data, and how to contact Energizer for any questions or complaints. Choice (Consent): Energizer processes personal data pertaining to EU, EEA and Swiss residents in accordance with the purposes for which the information was originally obtained or later authorized by the individual, and not for separate purposes unless authorized or required by law. When consent is required from the individual, and in accordance with its legal obligations, Energizer provides those individuals with the opportunity to withdraw consent at any time ("opt-out"), in which case their data is not further processed. Onward Transfers: Energizer obtains written assurances from any third party entrusted with personal data pertaining to residents of the EU or Switzerland, which confirm that the third party is capable of and will uphold an equivalent level of protection for the data. 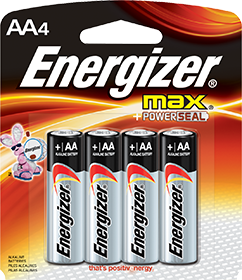 These assurances may be inferred from organizations that are located in a country that has received an “adequacy” determination from the European Commission or from those that have independently certified to the Safe Harbor program for the type of personal data that they will receive from Energizer (assuming that their certification is and remains in good standing). Security: Energizer takes reasonable steps to protect personal data pertaining to EU, EEA and Swiss residents from loss, misuse, unauthorized access, disclosure, alteration and destruction. Data Integrity: Energizer takes reasonable steps to ensure that the personal data pertaining to EU, EEA and Swiss residents is accurate, complete, current and otherwise reliable and relevant in relation to the purpose for which the information was obtained. 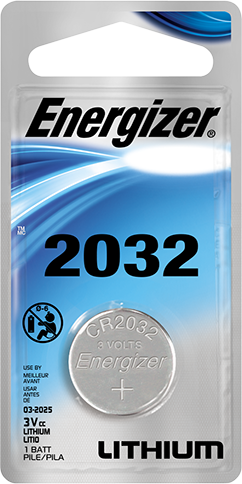 Access and Correction: In accordance with the Safe Harbor program requirements and taking into account legal limitations that may apply, Energizer permits reasonable access by EU, EEA and Swiss residents (after proper authentication) to the personal data collected and held about them by Energizer, with the accompanying right to correct their information for accuracy, if necessary. There are certain limitations to the access and correction rights, as set forth in the U.S. Department of Commerce's Safe Harbor materials. That information can be reviewed on the U.S. Department of Commerce's website at www.export.gov. Enforcement: Energizer has established internal mechanisms to verify its ongoing adherence to this Policy and to ensure appropriate enforcement for violations, in a manner consistent with the Safe Harbor program requirements. Individuals who have concerns about this Policy or about the manner in which Energizer is processing their personal information under its Safe Harbor certification are encouraged to contact the Energizer Legal Department at the Energizer Headquarters address below. Energizer will attempt to resolve any concerns through its dispute resolution process, but in the event that it is unable to do so, it has also agreed to participate in the Safe Harbor dispute resolution process established by the EU and Swiss Data Protection Authorities. Limitation on Scope of Principles: Adherence to these Safe Harbor Principles may be limited to the extent required by any legal, governmental, national security or public interest obligation. Maryville University Dr., St. Louis, Missouri USA 63141 USA. This Policy was last updated: September 17, 2015.